The next time someone complains that you’re a defensive driver, be sure to thank them. Defensive driving might annoy your companion in the passenger seat, but it’s one of the best ways to drive safely. Defensive driving 101 can be broken down into six key parts. So read on and learn how defensive driving can reduce your chances of getting into an accident. Keeping a watchful eye is the first component of defensive driving 101. Being on the lookout for unexpected obstacles and hazards in the road will help you avoid accidents. The best way to do this is to consider the place, the time of day, and even the time of year. Are you driving in a rural area in fall? If so, there might be deer near the roads during dusk. Is it a holiday weekend? Then you better plan for a little extra traffic along the roadway. Being alert and aware of your surroundings is crucial for safe and defensive driving, so keep your eyes peeled for unexpected obstacles and other drivers. No matter how long you’ve been driving or how confident you are behind the wheel, speeding increases your risk of getting into an accident. In fact, the National Highway Traffic Safety Administration reports that speeding killed 10,111 people in 2016. That accounted for 27 percent of all traffic fatalities that year. So while you might feel confident in the passing lane, studies show that speeding actually increases your chance of losing control of your vehicle. It also reduces your ability to react to other drivers and obstacles on the road. If you’re on the highway or interstate, consider controlling your speed by setting cruise control. If you’re driving in town, always check your speedometer and stay in the slow lane. When it comes to defensive driving 101, nothing beats planning ahead. Before you head out the door, stop and think. Are you hitting the road during a congested time of day? Are there area events taking place nearby, like festivals, concerts, sporting events, or even church services that could clog up the roads? If so, plan your outings accordingly. It might save you time and headaches to run errands earlier or later in the day so you can avoid the traffic. If you can’t reschedule your trip, plan on your drive taking a little longer than normal. It’s also a good idea to plan around the weather. If you’re area is prone to ice or snow, keep a shovel, gloves, an ice scraper, and a phone charger in your car at all times in case of emergency. If you’ve ever wondered if you’re driving too closely to the car in front of you, the answer is more than likely yes! If you seem too close for comfort, you probably are. The common rule of thumb is to practice the two-second rule, but as we age, our reaction time often slows. That’s why the AARP recommends using the 3-second rule instead. Just locate a fixed point ahead like an overpass or road sign. As soon as the vehicle ahead of you passes that fixed point, start counting “one thousand one, one thousand two, one thousand three.” Your vehicle should not pass that fixed point before you reach “one thousand three. If you do, it means you’re following the car in front of you too closely. So slow down, and increase the distance between your car and the other vehicle. Keeping a safe distance between your car and other vehicles gives you plenty of time to brake in case something unexpected happens. On average, it takes several seconds to come to a complete stop – and that’s after you’ve made the decision to hit the brakes. So if you see the drivers in front of you tap their brakes, follow suit. Not only will this ensure you mirror the speed of the cars in front of you, but it will also signal to cars behind you that the flow of traffic is changing. Driving without distractions is a good rule of thumb even if you’re not working on learning the keys to defensive driving 101. But unfortunately, the rise in cell phone use has led to an increase in distracted driving. According to the CDC, “Approximately nine people are killed and more than 1,000 injured daily in the United States in incidents reported as involving a distracted driver” (source). But it’s not just cell phones that are pulling drivers’ focus from the road. Driving when you’re tired or impaired can be just as risky. Even loading the car with other passengers can become a distraction if you’re trying to carry on conversations and monitor activity in the car. So be sure to keep your eyes on the wheel and stay focused on the cars around you. Practicing defensive driving 101 is a great way to stay safe on the road. To enhance your driving skills and receive a 10-percent auto insurance discount, consider signing up for the four-hour refresher class offered in Little Canada, MN. Previously titled Defensive Driving, this course is now called 55 Alive. 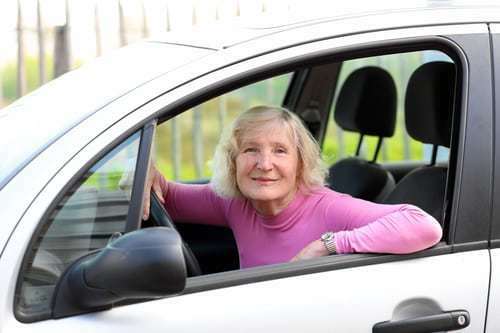 To further reduce your risk of a car accident, check out our safe driving tips for seniors. 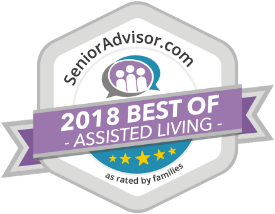 And if you’re looking for a retirement community in our area, be sure to check out The Shores of Lake Phalen in Maplewood, Minnesota. 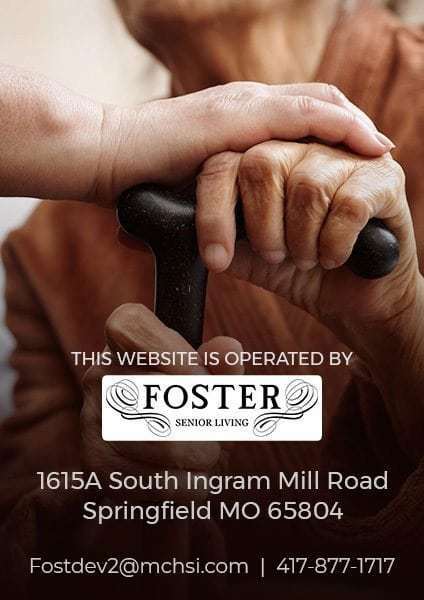 Our welcoming facility is dedicated to providing a loving and active atmosphere where seniors can enjoy their golden years. Our campus is nestled on a wooded setting between two lakes, and our residence offers apartment-style housing with the atmosphere and elegance of a resort. Residents have access to medical staff as well as community events, amenities, activities, and much more. Schedule a tour of the community to explore our spacious apartments, elegant dining room, and more. We look forward to hearing from you!